All my friends and family know that we travel on a budget. 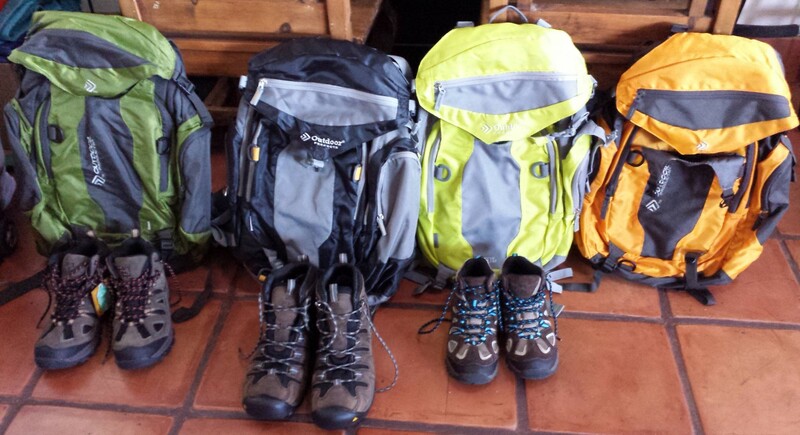 Living on one income is no reason to give up the dream of traveling with your children. It is doable but it requires you to really want it, to be extremely disciplined and to make it a priority. Every time I post on social media that I’m about to go somewhere, I get lots of private messages asking me how to get the lowest fares. When traveling on a budget your biggest expense is usually the air tickets so this is important and the cornerstone of any trip planning. What I do is no big mystery. I use the internet. But the way I find low rates requires to be a little obsessive about it and to practice, practice, practice. First of all, you have to know geography. This sound silly but seriously, you have to know exactly where everything is at. This will give you a huge advantage because then, it becomes second nature to create different routes to the same destination and every route has a different price. You have to learn the codes for every airport of every major city. This will save you tons of time. And by every major city I mean EVERY one. You have to check for all international airfares at least 3 times a week. (See why you need to know airport codes?) It takes me 15 minutes to check every airfare to every major city in the world leaving from San Diego. This way you learn the trends of prices and how they fluctuate during the year. The trends change every year so your work is never done. You read it right, at least 3 times a week! I have a crazy rule: never ever travel in the Summer! Fall, Winter early Spring are the best times to travel (inexpensive and way less crowds!). Plan your trip at least 9 months in advance. I know this is hard. Everyone has a very busy life and sometimes it is not possible to plan ahead. But you should always try and book as early as you can. If you get the green light from work today, get home and book those flights that same day. I can not stress this enough. I have seen tickets go up by a lot in a matter of seconds. If you see the right price, you better jump on it. Only a couple times I have gambled and waited to get a lower rate and one time I got lucky and another time I got burned. That’s how this game goes. Once you know the trends it will be easier to asses if the rates you are seeing are good rates or not. Certain cities are extremely cheap one year and extremely expensive the next. But knowing the trends will give you an idea of an average amount to compare your search with. Another way to do it, if you are flexible, is to see what fare, leaving from your home base to anywhere in the world, is cheapest and go to that destination. This is what I’ve done 80% of the time and the reason why our first international trip ever was to Scandinavia and not Paris for example. Be flexible! Paris will always be there and the rates may be better the following year. It used to be that the best rates were published on Tuesday night and Wednesday very early in the morning. This is changing. I’m not sure if airlines have a crazy plot to mess with airfare hunters or what, but I have seen a change this past year. This is why it’s important to do your airfare scan three times a week. Also, traveling on Tuesdays, Wednesdays and Thursdays is usually cheaper than traveling right before a weekend. From the US, South America airfares have been crazy expensive for years and they rarely go on sale. (Still, one day I’ll make it there!). Asia is not cheap but sales are not as rare as to South America. You can find great rates to Asia if you plan way in advance. Also, for Asia you pay a lot to get there but once there, everything else (hotels, food, etc.) is inexpensive, so it evens out. For Europe it is easier to get a good rate to a major city and once there, local airlines will take you anywhere for less than $50 USD, sometimes even less than that. For example, a flight from Madrid to Istanbul can be as cheap as $44 USD round trip!!! The useful websites change constantly so I don’t use a specific one. I use them all! When I’m in the zone, you will find me with ten opened tabs on my desktop, plus the Ipads on the sides of my desktop with another four tabs opened each. And my phone also doing some heavy searching. I look like a crazy person. Travel hubs, individual airlines websites, airfare alarms, airfare apps, etc. I use them all. But honestly the ‘airfare alarms’ have given me nothing good. It is about learning the trends and recognizing a good fare when you see it. Ain’t nobody got time for that? Then you’ll pay full price. The horror! I sometimes imagine my rich friends reading me with a condescending smirk on their face or thinking I’m cute because they can drop $6k for a first class ticket without even blinking. And here I am looking like the Architect from The Matrix with my multiple screens trying to find a ticket for under $500 to…wherever! For us mortals, and a stay at home wife of a fireman, this is what I have to do to fulfill my life project. I scour the internet constantly and so far it has paid off. $6k for one person just for a flight? I can plan a nice 2 to 3 week trip to ____you name it_____ for a family of 4 for $6k!!! Now go get a beer, coffee, tea, water, lemonade, tequila or whatever you drink while surfing the web and start learning airfare trends. This is what we have to do until the airlines stop playing mind games with us all. Use these sites to begin with. 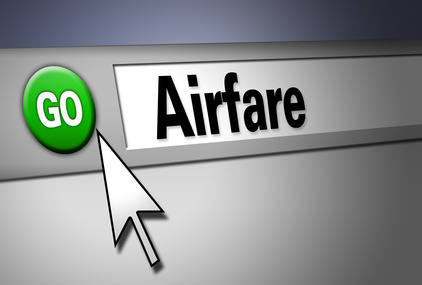 Once you see the fare you like, go to the airline website and compare. See if they have sales or specials. Then compare again and make your move. Wow, such interesting strategy! A couple of questions…You don’t recommend travel in summer. Is that only for the Northern Hemisphere? If you go to Australia in America’s summer it will be winter there… Also, when you check the web three times weekly, are those checks based on a certain time you intend to go, say November 2015, or just the most recent upcoming fares that Google shoots out? Thanks for sharing your expertise!! In most cases I find that during summer, most popular destinations in the world are too crowded, the prices are high and honestly, I prefer to have towns, cities, museums, stores, parks and streets to myself (and the locals of course!). But that’s just me. However, you are absolutely right. There are destinations in the Southern Hemisphere that are best explored during “our summer” which is their winter and viceversa. It also depends where you live. I live in San Diego where it’s never cold. So I’m not too interested in say, going to a beach. I rather go explore a country when the weather is cold. It makes it fun for us. But if you are from the northeastern side of the US or any cold country, you may want to go enjoy the sun in Australia’s beaches during “your winter”, their summer. Regarding the 3 times a week fare scan. I do that just to see the trends, the fluctuations throughout the year. I look into the current month, then I look into 3 months ahead, 6 months, 9 months and 11 months. Because I kind of know already the average fare for all destinations and the time of year when they are more expensive or inexpensive, then I am able to asses if the fares are going down for X or Y destination and/or for A or B month. I know this sounds confusing… but when you start doing it, you’ll get a hang of it. The top advice that comes from this is that you must search at least 9 months in advance from your travel date. It is even better to start 11 months prior. That way, you can monitor the fare for the next 2 months and once the 9 month mark comes, then it is up to the trend if you wait a little longer or if you lock in the price. Another variable is the time of year. Fares tend to be low right after summer and after the new year. We usually travel during January or during March. For January trips I buy tix in late august or early september. For March travel I can wing it longer. I start looking in late august and can go as late as early november. But when you see a good rate, you know it’s good and you must jump on it. It is not a perfect method but it has worked for me. I was recently surprised at how much fares to Europe went down in January. Throughout the years I have seen some crazy fares. Crazy high and crazy low. The airline industry truly plays with our emotions… LOL! Also, remember always to check Business class and First class fares. I have heard of “surprises” where Business class costs only $50 more than Economy! This has never happened to me but I have heard it’s true. Previous Previous post: Our amazing homes away from home. Next Next post: “Until you reach the Great Wall, you’re no hero.” -Chairman Mao. The majestic Great Wall of China and the Imperial Tombs of the Ming Dynasty.